I didn't fare so well on getting a new flight suit at supply. When I took in my old decrepit one to exchange it they informed me that in TAC you're only authorized 3 flight suits (in MAC I had 4). So they took my old one and didn't give me a new one! Also I picked up a switchblade knife (it goes in that long thin leg pocket on a flight suit). It's designed for cutting parachute shroud lines but is equally (and more frequently) usable on peanut butter. 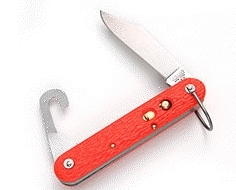 "WARNING: This knife may be issued only to the armed forces and is intended solely for use in emergency survival conditions. Unauthorized possession of this knife may constitute serious criminal offense against federal, state, and local law." On May 1, President Nixon authorized the invasion of Cambodia. This set off protests at college campuses across the US (when I got to Vietnam, the invasion was over and I was transporting refugees). Some 20,000 people assembled in New Haven, Connecticut for a May Day rally protesting the trial of Black Panther Bobby Seale. The governor feared that the Connecticut National Guard could not contain the situation so he asked U.S. Attorney General John Mitchell to send in backup federal troops. Every crew at Pope was put on alert, including us RTU students. 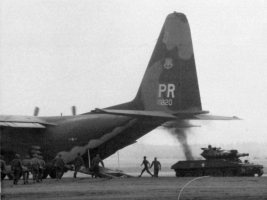 Pope AFB is next door to Ft. Bragg, home of the 82nd Airborne, so Pope C-130 crews flew 2,000 paratroopers and marines to New England using 46 of Pope's 50 C-130's. There weren't enough PCS crews at Pope to fly all those C-130's, so some crews were filled in with RTU students. The news of this protest was soon eclipsed by the massacre at Kent State May 4th. There was an anti-war demonstration in Fayetteville today with Jane Fonda as the principle. There was an announcement earlier in the week that a group was going to stage a demonstration on Pope. This apparently scared the military powers that be to the point that they cancelled the scheduled Armed Forces Day displays. Jane Fonda was arrested at nearby Ft. Bragg for distributing leaflets. This was two years before her infamous trip to Hanoi. The drop zones and landing zones at Ft. Bragg were used for many joint military exercises. Some of the techniques we demonstated were impressive but rarely used in Vietnam. Rocket-assisted takeoffs were mostly for show. The pilot's takeoff charts showed no actual performance improvement, but it looked good. Low-Altitude Parachute Extraction System (LAPES) was much more "interesting" to the pilot. Instead of dropping the load from 1000' or so we dropped from about 8'. The interesting part was avoiding a crash after the load went out. The loadmaster unlocked the rails and deployed the drag chute. The load accelerated so quickly that the rollers in the floor smoked. As the airplane became more tail-heavy, I kept it in level flight by pushing the nose farther down. By the time the load reached the ramp, the yoke was full forward to the stop. 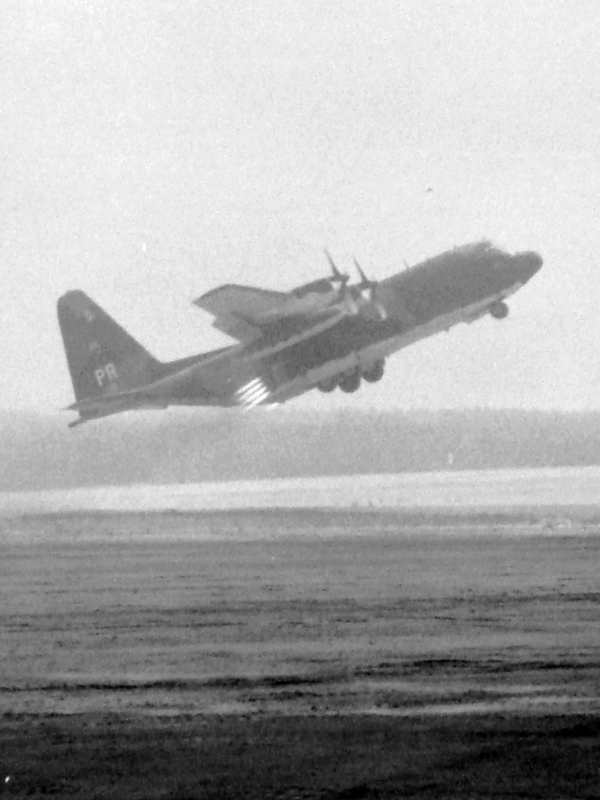 Suddenly the load was gone, the airplane was no longer tail-heavy, and it was ready to dive into the ground. I had to immediately pull the yoke back to the opposite stop to keep from hitting the ground. In about a second the elevator traveled from full down to full up and more than a few C-130's "landed" in the drop zone doing LAPES. This technique was used in Vietnam when things were too hot to land, offload, and take off again. 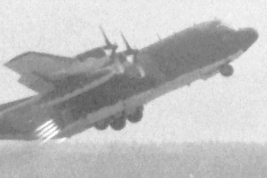 This video shows a LAPES drop onto the runway at Khe Sanh. 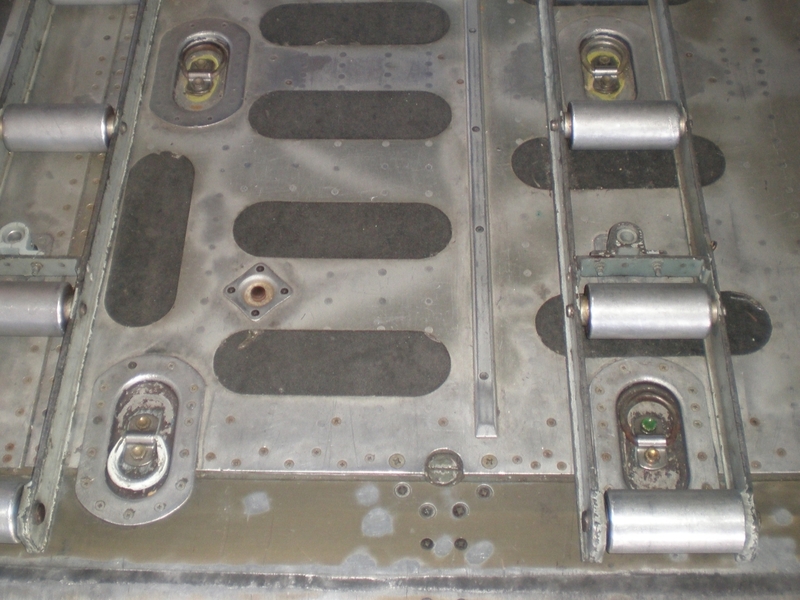 But usually we landed and offloaded equipment.